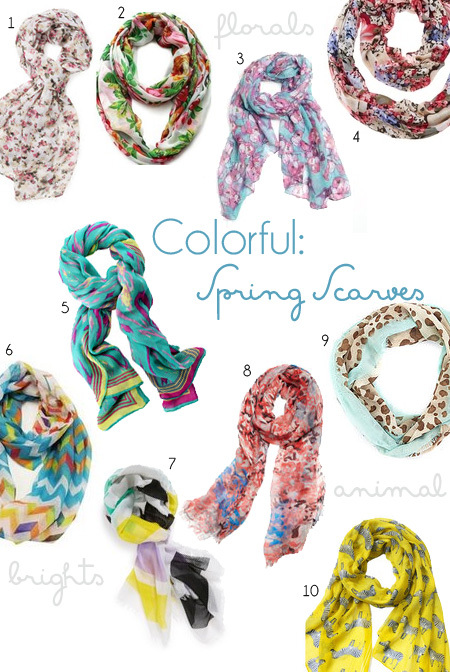 I received a beautiful Spring scarf in last month’s PopSugar Must Have box* that I’ve been wearing non-stop. This made me realize, although I have quite the selection of warm scarves, but I don’t have many light-weight Spring scarves. And so, here’s my virtual wishlist (all of these are under $60). I love how a colorful scarf can add so much life to a plain tee & jeans! *if you want to signup for PopSugar’s Must Have subscription box, I’ll get my box free for a month by you joining through my referral link. I love scarves…they can dress up even the simplest outfit! Thanks for sharing!